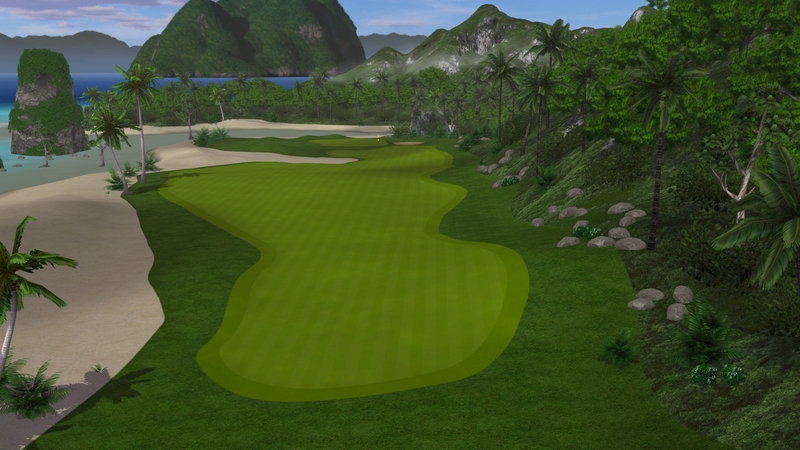 The beginning of the round at Pearl Lagoon is a lot easier than the end of the round. 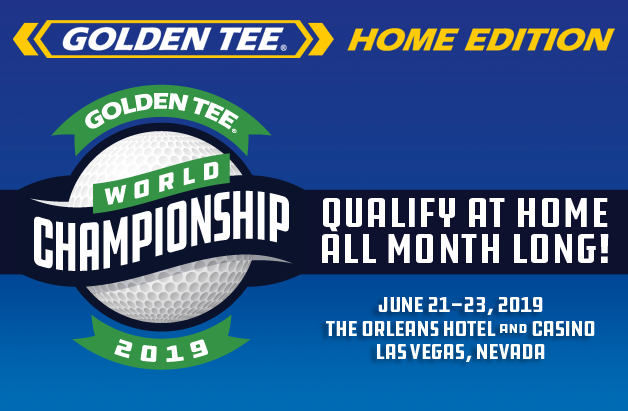 This, of course, is obvious given everything you know about Golden Tee, although it seems especially important to point out on a course with one of the tougher closing holes in recent memory. We’ll have plenty of time to get to that—for now let’s tackle Hole 1 and put ourselves in position for a birdie. There’s not much to this hole. The scenic ocean on your left shouldn’t come into play (yet), and you have fairway directly ahead. One thing you can do off the tee is play for the wind. If you have a slightly angled wind working for or against you, position your ball on the left or right side of the fairway in order to make the shot as straight as possible. It’s a small advantage, but it can be an advantage nonetheless. The approach into the hole will change depending on where the pin is located. Although you don’t want to get overly aggressive, there are very few opportunities as favorable as this one. 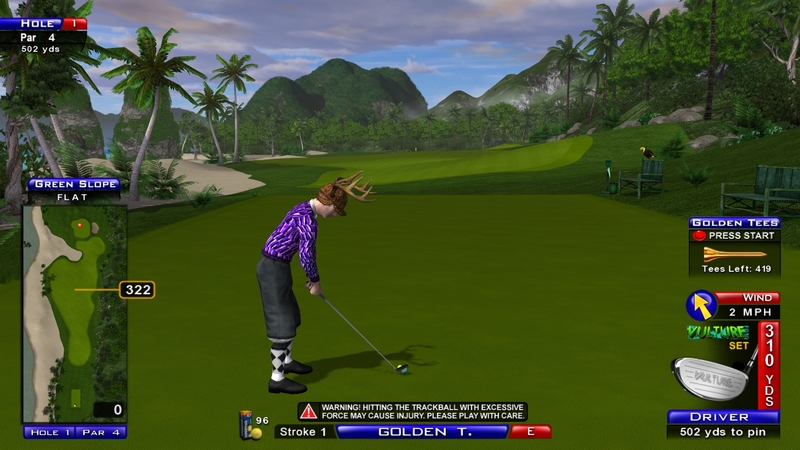 If the pin is located in the middle portion of the green, allow your ball to release. You can also apply bite if it makes you feel more comfortable. Obviously the name of the game here is birdie. Leave yourself a short putt and don’t make too much of a hole you shouldn’t have issues with. A holeout would be nice—of course it would—although don’t risk missing the green to go for it all.